Have you ever owned action figures for Ninja Turtles, Terminator, Gremlins or other big franchises? If so, you are buying products made by NECA Toys, one of the world’s largest toy companies within the film industry. 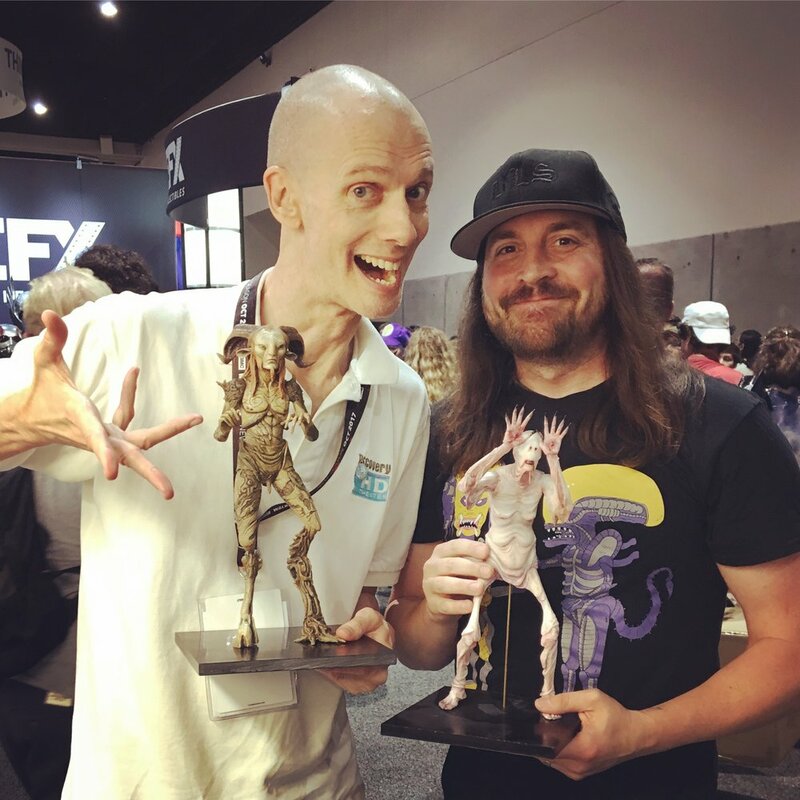 NECA’s director of product development, Randy Falk, who appears regularly on NETFLIX’s The Toys That Made Us, loves the reactions his toys have on people. “I’ve heard from a lot of different people how Quentin Tarantino must go out with his figures, and he hands them out to people. He must be driving around with them in the trunk of his car,” he says. From a Reddit page: “Among collectors, NECA is the best bang for your buck. 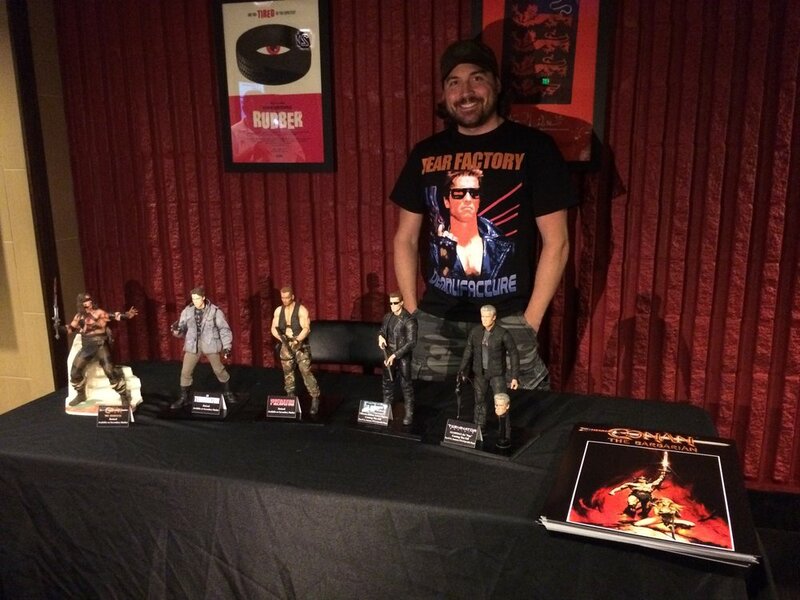 Plus,Randy is a cool dude.” It sounds like you need an action figure of yourself! But really, I found that collector's affordability theme across multiple web results. What does NECA eliminate with material construction and other unnecessary expenses? How do you maintain this healthy balance of quality and cost? It’s a delicate balance and involves a lot of strategic planning and foresight. The biggest expense in manufacturing action figures is the steel tooling necessary to produce injection molded plastic. What we try to do is find ways to re-use and repurpose tooling often yet sill remaining true to the source material (the brand or license) this practice has gone on in the industry as long as action figures have existed. When you are a kid, most don’t realize it, but most He-Man figures shared the same bodies and parts as did many of the 3 3/4 GI Joes. The amortization of tooling is essential and plays a huge role in the success of our longest running lines, Alien and Predator. The other important part of our formula is selecting the right licenses and subject matter and being to execute on them accurately and authentically. Creating must have items for the fans and collectors with the perfect balance of articulation, accessories, detail and accuracy to the source material. Most of the creative team here having grown up or being children of the 80s, a lot of the things we make now are toys we wish had then. We remember back to high school or junior high and now, it’s come full circle. We get the chance to make that type of stuff. For there are enough people who have that nostalgia or the young generation who discover that through cable, Netflix or DVDs and are thirsty for the same things we are passion about and influenced us growing up. I myself am a collector, so I study and buy everything else that’s out there from our competition, stuff that’s higher priced, only international. I am aware of looking at everything else that’s out there. It’s sort of having this encyclopedic type of knowledge of what’s come before from other companies. it doesn’t have to be a NECA toy or a figure. it can be model kits in the 80's before everything became action figure driven. For us, it’s really implementing as much as accurately as possible so the customer is posing or recreating movie scenes by taking the toys on locations and shooting them in the snow, or in the woods if it’s Jason from Friday the Thirteenth. Or Predator. They do staged photos, and we are impacting as much detail at the same time making sure everything looks as realistic as it can to the video game, movie or the show. Instagram is like going down a rabbit hole. We search hashtags. People are making dioramas. Stop motion little films with them. It’s crazy how good the stuff is that’s out there and how passionate people are about it. Do you have any favorite projects you would like to share? Several years back, we worked very closely on the first Pacific Rim with Guillermo del Toro. We did a lot of toys from that film. We have a great relationship working together. We share a lot of the same ideas about product and how it should look great but still be playable and fun for the collectors and fans. We have a similar mindset. We’re kindered spirits. Several years ago when he was going into production on The Shape of Water, he came to us and said, “Would you like to work on products?” He retains the rights to several of his Spanish language films. Devil’s Backbone, Pan’s Labyrinth and Cronos, he’s able to license those directly. I said, “Absolutely.” Pan is one of my favorite films he has done. He was really helpful in the early stages concepting how we were going to launch the line. We wanted an overall plan with a new release date every quarter. The plan for this line started summer 2016, when we first talked about it. I think it will end at the end of this year. Shape of Water, he does not own, but we saw how beautiful it was before it won the Oscar. We licensed it from FOX. We do Alien, Predator, The Simpsons. We wanted to add it to the collection. We have several from Pan’s Labyrinth. We have a diorama. We did a figure of Guillermo himself as a director as a San Diego exclusive. The Shape of Water will probably be the final piece in what we call the Guillermo del Toro Signature Collection at the end of 2019. With the amount of time it takes creating a product prototype, which figure production was the most difficult for NECA with realism or its creation somehow? One of the biggest challenges we ever faced was back in our infancy when we had the Hellraiser license. We were the first company to ever produce a Pinhead action figure and trying to find a feasible way to insert over 100 pins into the plastic head of a small 7” tall figure was a daunting task to say the least. We collaborated with our engineers in China and found a way to do it. In production the pins or of course plastic but all of them were in there. It’s definitely one I am still very proud of and helped put NECA on the map with many collectors back in 2003. We aren’t thinking kids. It’s rare that we are targeting a child as our end consumer, whereas back then decades ago, that was all they thought about. There was not a recognized group of established collectors to market everything. It was a play pattern in the 70s and much of the 80s. A child was playing with action figures from 4 or 5 to 11 or 12. That’s why brands like Barbie, Star Wars and GI Joe have had such long lives. Now, that has changed so much. Kids are 4 to 7, maybe 8, they’re done. They’re not buying action figures. They’re not interested. They’ve moved on. They have electronics. They’re asking parents for iPads and iPhones. It’s video games and apps. They’re too cool for toys, but at the same time, we have a huge audience of people in their late 20s and early 30s who grew up with Ninja Turtles in the very late 80s or early 90s as their first big love, and now they have disposable income. They have jobs and careers. Maybe they’re married. They have money to play with. They’re buying up things that remind them of their childhoods. For some of these action figures, you work directly with the special FX artists or doing set visits. What are examples of figure details you know would never have happened had you not had a closer work experience? Access to the FX team and props and wardrobe is essential when we are working on any current film when in production because the goal is always to have the toys out with the film release. Just last year, when the new Halloween was in production, we had amazing access thanks to a great relationship with one of the producers who was able to send us amazing reference and details on the spot throughout the shoot and reshoots they did in the spring. One late addition to Michael Myers’ accessories was that of a fire poker, thankfully the producer kept us in mind throughout production and when that item was added he messaged me and said is this of interest and I said absolutely. If it’s on screen and Michael holds it we want to make it and include it with the figure. Had he not kept us in the loop all along we wouldn’t know crucial details like that until after the film is in theaters and by then it’s too late. With the classic or legacy brands, we work on having relationships with famous FX studios like KNB, Stan Winston, ADI, Rick Baker, and so on has been a tremendous help as these guys love that people want to collect and buy figures or characters or monsters they worked on back in the 80s and 90s and they have all been incredibly helpful and digging out old slides, negative, prosthetics molds your name it. They help us be more accurate and get all those little details right. Ninja Turtles are a good example. All the Turtles toys have always existed, even if you go back to the first film in 1990, everything was kid focused and designed that way, sculpted that way. It was all simplistic. They didn’t look like they did in the comic book, cartoon or movie. What we’ve been able to do is fill those voids. It;s crazy to think that first movie is the most beloved of the Turtles theatrically. There had never been a single product done that looks like it did on screen until we did it last year at San Diego Comic-Con. We have more turtle film based products from 1990 that we’re launching this summer. It’s finding those voidsm or that niche that hasn’t been filled yet. We are doing Turtles shredders, the foot soldiers. Certainly, the Turtles are the heavy hitters, but if collectors want those Turtles, they want someone to fight, so they want the next logical step. Really, it’s from the inception, having that vision the creative vision of how you want this to end up eight or nine months from now. The more eye-catching and also collector friendly you can make it, the better. We present the product clearly so they can see everything, but they can also remove it, play with it, pose it, swap the pieces, but also put it back in the packaging without damaging the box. People either run out of money or space. People are buying two of everything: one to keep in the package and one to open. Solving the problem to them iis making the package resealable and reuseable so they can hold onto it and take the figure out of it any time they choose. The old school was a cardboard back with a bubble heat sealed to it. You were left with paper you throw out and a plastic blister you recycle. We design a lot of the boxes almost like a book. You open the flap like you’re opening a book. The tray is positioned with all of the various accessories. We’ve done a Pennywise figure with four different heads in one package, plus the balloons and swappable hands. Everything is seen right on the shelf wherever you happen to be so you can see what it is without having to open it. We see it reflecting in feedback. We see it in sales. How do you market with social media and YouTube? We certainly value what YouTubers do. It is an important tool to help people buy our products. Once a reviewer has attained a certain level of notoriety, followers and views, we will send them things. We have a press list; those people get comps for the items they are interested in because of the someone being an influencer and the press value. Some people do a really great, polished presentation with good voiceovers, knowing what they are talking about and being knowledgeable and having interesting views of the product with good lighting and presentation. We take care of them because they present a good, unbiased view of the product. Last year, when we did a box set of the four Ninja Turtles from the original film, we recreated the packaging of the VHS cassette. We tried to be as on the nose as we could. But because it was a film, there were quotes from critics of the time. To stay as faithful as we could, we looked at two or three of the biggest online toy reviewers who have covered our Turtles items and took sound bytes from them and put their names on there, legitimizing what they do. It made the product look like the toy equivalent to the VHS. it was for the toy reviewers, and it made them part of the process. We didn’t tell them we were doing it! The very first sets that went out, we sent to those guys, and they were blown away they were part of the Turtles history. How does a character change in detail and artistry with size? Well, when we do our larger scale figures like the quarter scale format, around 18” - 20”, we are able to pack in more detail since there is more surface area and volume to work with. We can also have more decoration and paint operations to really help bring the piece to life. Generally, the majority of our product line scale is 7” - 9” and it’s a balance of what can be mass produced by a factory affordably and yet still retain as much of the detail as what we put into the prototypes. It comes with years of experience and training the factories and their workers to perform at the level we expect. If someone right now is reading this article wanting to go into toy design with NECA when he/she is older, what skills, education and work experience do you look for? How can someone work on toy design at home in the meantime? For formal education, a lot of art schools and even fashion schools now have toy design programs. FIT, SVA, SCAD, to name a few have toy programs or at least toy focused courses and we work closely with those schools looking for new and upcoming talent. For sculpting, a solid knowledge of human anatomy and drapery is essential. 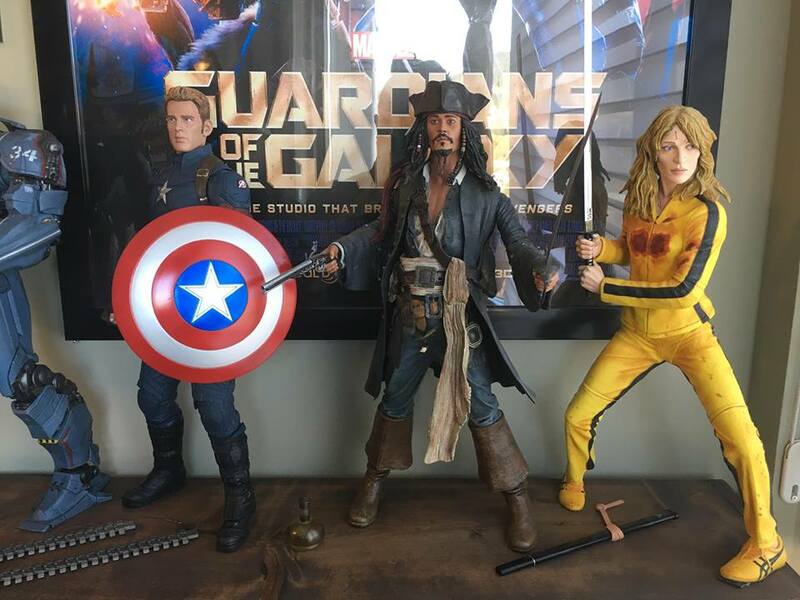 There are other important elements, such as graphic design for packaging or photography that all play a part in creating an action figure and bringing it to the market. For an aspiring toy designer or sculptor, at home the best thing you can do is study everything else that’s out there because it helps and inspires. Also, learn the 3D software because that is an important tool for a lot of manufacturers, and printing at home is becoming more affordable and something people can do on their own to create custom figures and dioramas. You were at one time an English teacher. For anyone who hasn't arrived at what he or she wants to do in life yet because of it not being the right time, fate, etc., what words of wisdom do you have to make people feel better about not having transitioned into a new career yet, or if so, having regrets about starting late? The best advice I can give is to follow your dream and your passion. It may sound cliché, but I knew this is what I wanted to do and I kept working towards that goal. While I was teaching, I customized figures, I had my own collectible retail business, and I kept pursuing a short list of manufacturers that I wanted to work for. Opportunity presented itself when I offered to work for McFarlane Toys during a summer break and within a few weeks they let me know it could become a permanent position. 20 years later, here I am. Most toys nowadays are sold directly to consumers rather than big box stores. What is your success strategy for this, artistically and otherwise? We are trying to keep a balance of both, honestly. I do think the brick and mortar physical experience, or the hunt as some of the collectors call it, is what makes this hobby fun. We don’t want to see it go away. Toys R Us was a very important partner for us. We built a very good solid business there by merchandising and controlling our own section over the course of five years. We had that unique situation with them where we weren’t relying on them to bring in inventory. We did it all ourselves because they had cash flow products. When something was successful, they couldn’t reorder because they didn’t have the money to do so. We built a business there that was well over $5 million annually just at Toys R Us. Obviously, when that ended, it was a concern. We have wonderful hobby mom and pop shops online. We sell directly through Amazon and eBay storefronts. But we did want to find a retail partner that made sense because there is something to be said of that experience of walking through an aisle, seeing a product merchandised well, being able to pick out the best paint job and have some choice and be able to put your hands on it, and it’s a lost thing now, but when you used to go to a video store on Friday night and walk around until a box caught your eye, a record store, a bookstore! 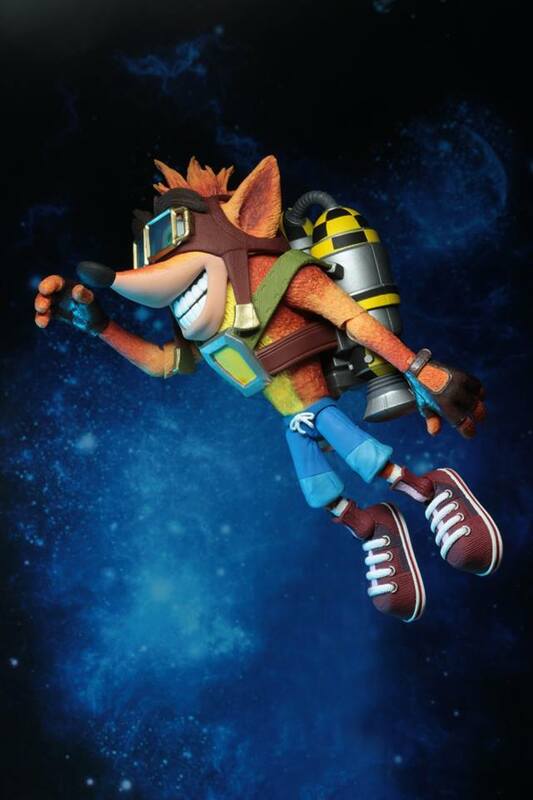 We did partner with Target and launched a collector’s section in August 2018. We only have four months of data, but it’s been extremely successful and very well received. The other thing that’s unique about where we are in Target is we’re not in the toy aisle. We are in the electronics and video game collector area. They have a back wall in about 1,800 stores. That back wall is the stuff that’s not for little kids and not considered a kids toy. Our fans are Target ambassadors checking on the stores. They;re reporting on what it looks like, what they see, what’s new on the shelf. Some guys straighten the section because they want it to be successful. We’re now rewarding them with Target gift cards. We pick weekly. They feel like part of the team. An item is announced, “This item is available exclusively at Target.” Sometimes, they go repeatedly until they find it and are purchasing it and are either Tweeting it to us or telling us where they got it, the store location, how many were on the shelf. Did they see other people purchasing it? For people who don’t live near a Target, there are lots of options online. Pile of Loot lets you order, and when you decide to ship your pile of loot, you can ship it all at once. They charge you one flat rate shipping fee. You can wait four or five months. It’s like Christmas getting all of these toys at one time. In the 70s or 80s, almost every single action figure or doll had a cross cell in the back showing what else was in the collection. That was like the Bible for a kid. You would keep that card and look at it as a checklist of what you have and cross things off. Nobody does that anymore. it’s a lost art. In an effort to save money, most manufacturers having multi-lingual packaging. The Star Wars figures in 1985 had about 92 different figures on the back. You asked, “Do I need more storm troopers? Do I have this?” You buy a Star Wars figure now, there’s nothing about what’s on the back about the rest of the collection. It dumbfounds me. We always use it. We cross sell all of our products and all of our lines. There are a couple exceptions. Marvel does it with Marvel Legends. Hasbro has the mass license. Each figure comes with a piece of another figure, so when you buy all of them, you can assemble another figure. How do collectors influence your decisions? Do their opinions ever result in NECA redoing a figure, making corrections for the future, or producing a character? We definitely take it into account and we are very active on social media platforms. Firs and foremost most of us in the studio are collectors ourselves so we have a pretty good understanding of what the fans want to see. I personally I am very active on Twitter and communicate with fans daily sharing all sorts of insight and behind the scenes information about how this whole business works. I think we have a pretty solid track record on our own but once in a while something gets past us. There was a Godzilla a few years back that resulted in some fan criticism. We took that to heart and had another sculptor work on it and re-work most of the figure to satisfy those critiques. It resulted in a better final product so it’s important to listen with an open mind and take constructive criticism to heart. For reasons I cannot to this day explain, my elementary school self loved renting all the same Gremlins movies at least once yearly from the video store...yes, VHS. If I had to guess, maybe because guys in my classes got me into them. And you at NECA have a full Gremlins collection. What was your first introduction into the weirder or scarier end of pop culture as a youth, and what do you do as an adult with now a real day job keeping that alive for your characters? I would have to say having cable television at a young age exposed me to stuff like Halloween, Friday the 13, Creepshow. I can remember sneaking out of my bedroom trying to peek at the original Halloween as my father watched it on television. It scared the crap out of me yet I couldn’t look away. I was drawn to it the imagery the music everything. To this day it’s still one of my favorite horror movies of all time. I was fortunate enough to be born in the early 70s and grow up in that golden age, the 80s. It is no secret that I love 80s movies television and music. That time was magical and there is a reason why in 2019 people are still buying Freddy and Jason and Chucky and Gremlins and so on. They are timeless and they are iconic characters that live on thanks to cable DVD Blu-ray Netflix. So many of our customers were not even born when these films were first released. They discover the stuff on cable or from their parents or an older sibling, and that’s magical. As an adult, I still get that same feeling when we work on something that was beloved to me as a child or teen. The nostalgia is a big part and it takes me back to my first time seeing the movie or what I was thinking or feeling at the time. Then there is the communal aspect of NECA and how a whole team of us work together to make all of these things possible. There is genuine excitement through each stage design sculpting painting photography revealing a new Prototype to the public. Each step is fun and it never gets old. I am genuinely excited to go to work every day and help create something new. If you could pick any of your toys to come alive like Toy Story or Small Soldiers, who be your friends and who would be your villains? I personally own a Pee-Wee Herman action figure made by NECA for Pee-Wee’s Playhouse. I would select him as my BFF. I love Chucky, and we’ve done some pretty awesome figures of him so I’d really enjoy having a foul mouth murderous doll come to life to keep things interesting. As long as he sounds like Brad Dourif, I would try to reform his murderous ways and just take him to metal concerts where he can get out his aggressions. What makes you excited about the New York Toy Fair? The toy fair is industry only. It’s not open to the public. It’s an international show. We see distributors from the UK, Asia, Spain, Germany and Italy. Everyone from the studios! FOX, Disney, Warner Bros., etc. It is open to the press. That is how we get our fan connection. We save the reveals and debuts for this show because it’s such a big, highly attended, highly covered show. As soon as the show opens, Saturday the 16th of February, my first two appointments are press. Two of the bigger news and reviews sites. They shoot everything immediately and ask me a whole lot of questions. Some of it is on camera and some of it is not. We just watch the traffic go crazy on our socials and websites. Building that word of mouth and buzz is essential because it shows we are involved. Before the toys on are sales sheets, they have fans calling them because they’ve seen the announcement. It predicts what’s going to be really hot. Who is the coolest person who has stopped by to meet you at the New York Toy Fair? Phoebe Cates! We were showing our Gremlins, and I happen to see an attractive middle aged woman talking to her friend about them extensively. It turns out she owns some of the gift shops around Times Square. She was with one of the buyers from that store. It was surreal because I never thought I’d meet Phoebe Cates or she’d be looking at Gremlins toys I had a hand in producing and designing. For more with Randy Falk on the film toy industry, read my article in this week’s issue of Variety. 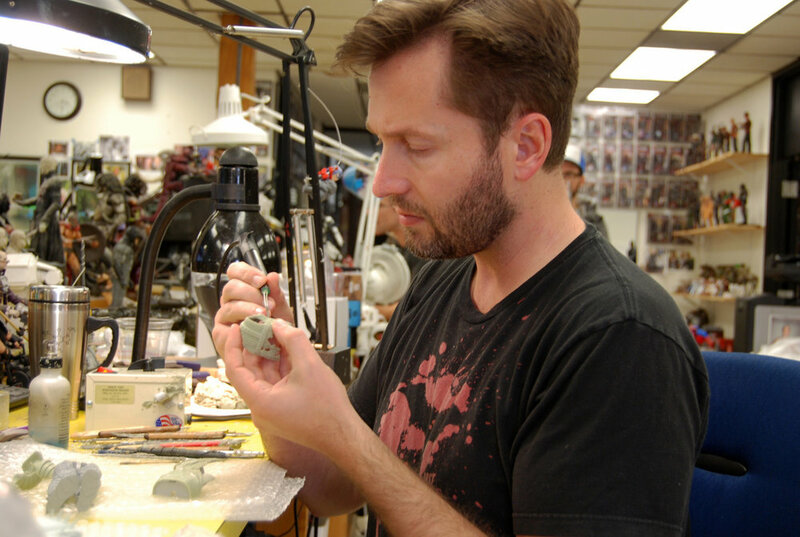 Q+A: Greg Anzalone on Crafting Toys for Marvel, Star Wars + Other Franchises!